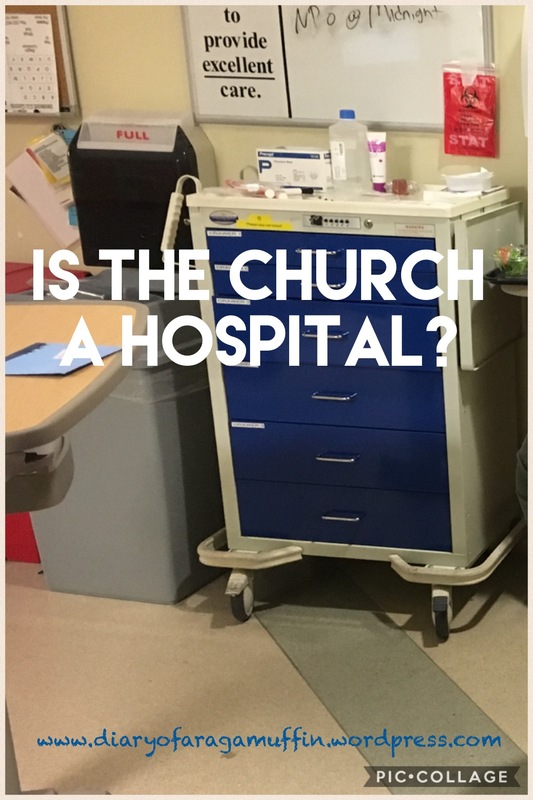 Should the church be called a hospital? I’ve often heard the church described as a “hospital for sinners, not a museum for saints.” What does that mean? It is true that we are a community of sickos who need a Good Doctor. But I wonder if we’re not doing more harm than good to the church because of that description? I mean, who lives in a hospital? Who WANTS to live in a hospital? Is this very subtly saying to ourselves (and others) that we only need the church when we are sick: emotionally, financially, spiritually or physically? Is this saying the church is only good for us when we’re struggling, but once you get healthy, hasta la vista baby? Isn’t this how many people view the church, and ultimately God Himself? So, what metaphor would be better? Paul gave one in Ephesians (chapter 3). He says it’s a mystery. Let that sink in for a moment. A mystery can be something impossible to explain or understand. That’s what people said after Jesus had just raised a boy from the dead. We can’t figure it out… and do we really want to? We do not enter into a mystery because of what it gives us or how it serves us or how it makes us feel. We simply enter. And by doing that stuff happens to us below the surface. Neither you, me or the weird person next to you can rationalize it. It’s a mystery. When we think of church as a mystery, the sermon might as well be in Italian, the way the music is done doesn’t matter and how long the service lasts isn’t relevant. I love that description: managers of God’s mysteries. We’re not the detectives and we’re certainly not the masterminds of the plan. I waited and waited and waited for God. At last He looked; finally, He listened. to make sure I wouldn’t slip. a praise-song to our God. I hope you get a chance to enter the mystery of God and abandon yourself to Him. It is pleasurable and painful, tranquil and turbulent, frustrating and fulfilling, many times all at once! It is a mystery. Enter in. If you enjoyed reading this post, please share with others! Previous Previous post: How long does it take to love a puppy?